One of the key roles of NZCCSS is to supply information and networking opportunities to support members providing quality services and to develop, critique and advocate for policies that will assist poor, vulnerable and disadvantaged New Zealanders. Through our publications, Kete Kupu, Policy Watch, and the Vulnerability Report we have been actively achieving this. Today there are a few questions we would like to ask you about Policy Watch in order to ensure that we are providing a quality product to you and your organisation. 1. What would improve Policy Watch? 1. What would improve Vulnerability Report? The next batch of welfare reforms has been passed by parliament. As of August, 16 and 17 year olds on benefits will have their payments managed, and be expected to be involved in school or training. The plan is they will achieve NCEA level 2 or its equivalent. New requirements for lone parent benefit recipients will take effect in October. Lone parents with children aged over five will be expected to look and be available for part-time work. Parents with children over 14 will be expected to look for full-time work. Government is promoting long-term reversible contraception, and is "specifically targeting teen parents and ... providing $80 million for childcare so they [can]continue with their education and training." Find out all about Investing In Services for Outcomes, a new approach to MSD funding and contracts. Other info in NZCCSS's latest Kete Kupu includes social housing, Pasifika issues, older peoples' services and plenty more. 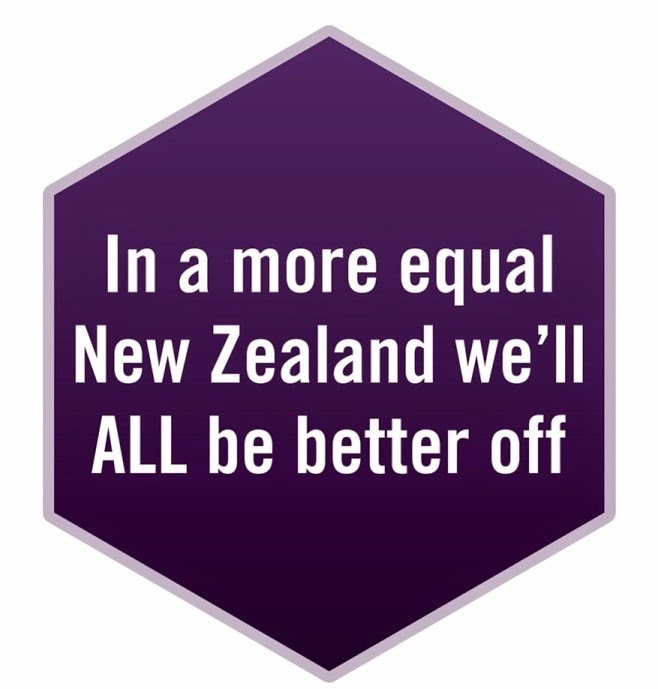 NZCCSS has put a lot of work into reducing inequality in Aotearoa; we are now involved in producing a book on the growing gap between rich and poor with Max Rashbrook and Bridget Williams Books. We also profile the living wage campaign; hardly surprising when the food banks are seeing increasing numbers of people who are receiving wages rather than benefits. Those really wanting to be in the know will be able to throw all of MSD, FACs, NCEA, ACC, NEET, UNICEF, CORT, SHU, CEO, SHIP, ANZ, WHT, DWELL,WEF, NZCCSS, HRC, DHBs, ITO, PTE, HET, NGO, PHA and SSPA into their sentences with aplomb after reading the latest issue. New Zealand and tighter government policies around benefit renewals are leaving some people literally out in the cold. Then there is the impact on Māori. The idea of welfare reform is to move people off benefits into jobs. That's why it is remarkable that KiwiRail (with Deputy Head Paula Rebstock) is considering axing 220 jobs as part of a plan to be more commercially competitive. "Government wrote down the value of KiwiRail's land and network from $13.4 billion to $6.7 billion last month." What makes it all the more remarkable, is Paula Rebstock is chairing the board overseeing Benefit Reform - a body we would have thought would be keen on maximising job numbers. Meantime Timaru's port company is losing all its container work (i.e. 50 jobs) after shipping lines Maersk and Hamburg Sud advised they were withdrawing their combined service this September. It all started when we wrote all those submissions on the Green Paper for Vulnerable Children. Then UNICEF and others had this bright idea of collecting lots of our submissions together, going through them, and using them to write a paper about what it would take to reach Green Paper goals for our children to "thrive, belong and achieve." Media mayhem followed.There were 'fears vital services would be cut,' and 3 news, Morning Report, Radio NZ Nine to Noon all had features. Then there was the NZ Herald's editorial about funding focusing on the most vulnerable only. It lost the proportionate universality idea - the idea that children all do best when there are universal basic provisions, and then increasingly specialised targeted provisions for those with higher of specialist needs. Enter Owen Glenn and his $80 million towards preventing child abuse, starting with an $8 million dollar project in Otara. Finally, the Child Poverty Action Group got leave to take its case about discrimination against beneficiary families unable to access the In In Work Tax Credit, part of the Working for Families package with an aim to alleviate child poverty, to the Court of Appeal. The Greens have welcomed the decision. According to CPAG research, poverty is the biggest barrier to children thriving. We're not sure if it is related, but the release of the White Paper for Vulnerable Children is going to be delayed. Maybe government is being a bit more careful after class size changes were quashed. Maybe it really is just a very difficult task. Maybe there has just been a bit too much focus on vulnerable children lately. Whatever it is, there will be two volumes coming up: volume one laying out exactly what government wants to do, and then volume two which has all the underpinning thinking. Submissions are due this Friday on changes to the Local Government Act 2002. Readers may be interested in the plan to change the purpose of the Act and remove the provision for " local authorities to play a broad role in promoting social, economic, environmental, and cultural well being of their communities." In its place is the most cost effective provision of services. There is also provision to reorganise responsibilities or boundaries by the Minister which appears to reduce people's democratic rights. One thing likely to help our babies is they will now be enrolled with their GP soon after their birth so they are more likely to receive their early life immunisations (one of the governemnt's key goals). Government is putting a greater focus on home based support for rehabilitating older persons, based on Waikato's example. - University of Auckland Award for Leadership – offering tuition for the University of Auckland of up to $6,000 per annum. - Weta Workshop Award for Creativity – offering a paid internship at Weta Workshop. - Air New Zealand Innovation Award – offering a place on Air New Zealand’s Aviation Institute’s first year pre-employment aircraft maintenance training programme to the value of $7,400. Application forms are available at http://www.pacificyouthawards.org.nz/ Applications close on August 27, 2012. What would I do if I was dependent upon government funding? I would be looking closely at where and how my organisation is making a difference now. I'd look at the quality of our partnerships, collaborative approaches and ability to deliver wrap-around services. I'd be moving intentionally towards developing a family and community hub with a co-location of complementary integrated services and shared technology. I'd look to see if my organisation is located in the best place in the community, meeting the highest needs. I'd be bringing key people together to examine our capability for innovative practice. I'd be looking at our funding base and asking if we'd become too dependent on government funding. I'd also be asking the organisation to reflect, do some developmental evaluation and look again at our vision and involvement in God's mission in the world. And I'd be wanting to pray together – a lot.